Canada's postal service built a massive loss into its books Tuesday in anticipation of the potential cost of settling a pay equity dispute with its biggest union. "A mediation process is under way to reach a negotiated settlement," the Crown agency noted in a statement posted on its website. "Once the process is completed, the Corporation will be in a position to disclose the financial impact of the settlement, which may differ significantly from the estimates recognized in this quarter." Those talks are ongoing, but arbitrator Maureen Flynn has warned that she will impose a final outcome if the two sides can't come to a deal by Aug. 31. The agency's Q2 loss covers a "one-time payment" it will have to make to bring it in step with the law, said CUPW national president Mike Palecek. 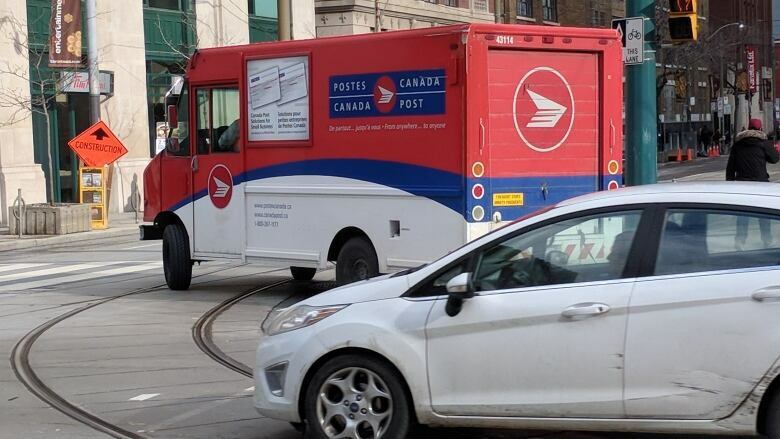 "For decades Canada Post has treated rural and suburban mail carriers as second-class workers," he said. "Finally, justice is on the horizon for these workers. Canada Post can't run and hide from pay equity anymore." The carrier's parcel service has been growing steadily over the past few years, thanks to the popularity of online shopping. Canada's duty-free level currently stands at $20 while the United States allows its consumers to buy US$800 worth of goods online before duties are applied — a discrepancy that has upset the United States.